Welcome to The Industrial and Scientific Works. Manufacturer and Exporter of Grinding Machines. The pany was established in the year 1930. Our Stringent quality control measures and State of the art infrastructure facility make us different from others. Coffee Board India, Kannan Departmental Stores, Melam masala and Godrej are some of our esteemed clients. Power Consumption, Durability, Efficiency and Safety are some of our quality test parameters. Simple Operation, Efficient Performance, Low Maintenance and Long Service Life are some of our product features. Our team prise of Engineers, Electricians, Administrative Staff and Designers. 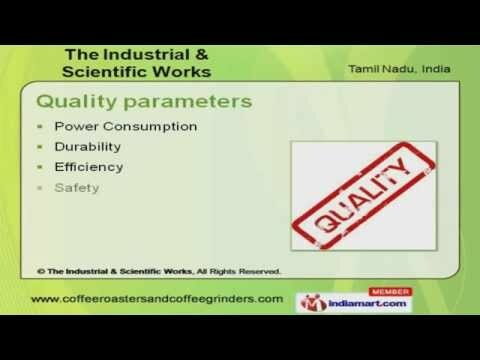 We present a unique range of Roast and Grinding Machines. Roast Machines offered by us are well known for their durability. Our Grinding Machines are well known for their impeccable performance.